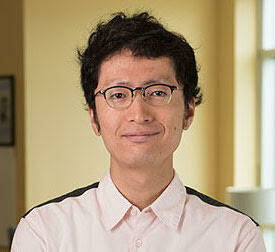 Takuya Tsunoda’s primary research centers on the interplay between institutions and media, technologies and socio-cultural practices, and representation and knowledge formations. He is currently at work on a book project about Iwanami Productions, which evolved from a major provider of sponsored educational and public relations films into a key player in the new cinemas of the 1960s in Japan. Grounding his research in archival materials, he highlights the historical and theoretical intersection between media-based governmental and civic activities, cross-medial articulation of postwar academicism in Japan, and cinematic modernism. Looking beyond the activist logic of political radicalism, his book argues that the crucial root of new cinemas in Japan resided in institutionalized audio-visual pedagogy and image-making practice. This project works towards new transnational parameters that relate the cinematic New Wave to a range of epistemic transformations and changing mediascapes occurring in the period. His recent research interests extend to such topics as various modes of reflexivity, children and media, television documentaries as well as the relationship between diegesis and contemporary media cultures. Prior to joining the Columbia faculty, he taught at Colgate University and the University of Chicago.